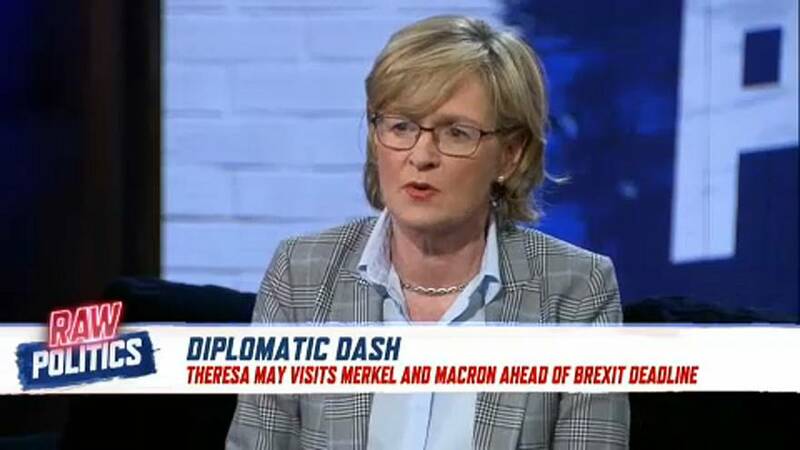 UK Prime Minister Theresa May took a last-minute trip to Berlin and Paris on Tuesday, seeking support from German Chancellor Angela Merkel and French President Emmanuel Macron for an additional Brexit extension. Although EU officials appear open to considering a delay, many are calling for the UK include assurances of a softer Brexit. On Tuesday night’s episode of Raw Politics, Mairead McGuinness, an Irish MEP and the first Vice-President of the European Parliament, reiterated this desire for clarity. The UK is currently scheduled to exit the EU on April 12 but May is pushing for a delayed exit on June 30. “An extension to the end of June doesn’t make any sense because then Britain must take part in the elections in May,” said German MEP Jo Leinen on Raw Politics. Leinen suggested that if an extension is allowed, it be for at least an additional year to “give more time for developments in the UK". He added that the ball is in the UK’s court to decide the course of Brexit, but the EU doesn’t want to be held “hostage again and again” by their indecision.